For most individuals, prom is a major event and an occasion worth celebrating. This is one night when students can put aside academics and celebrate their achievements together. For young people in our society, there are few traditions as sacrosanct as the prom night limo drive. Besides helping passengers feel stately and elated, limousines promote greater safety on prom night. When they have guaranteed, safe transportation to their homes, people can fully relax and enjoy their lives. Furthermore, it is easier for students from Peter Johansen High School to watch out for each other when they ride together in a limo. 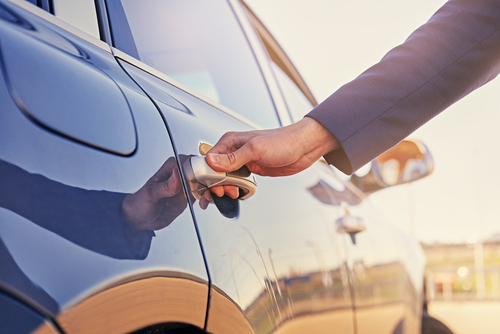 Without exception, our chauffeurs go through extensive training before they are added to our ground transportation team. Before training can even begin, candidates must pass initial screening for drug abuse and criminal convictions. You see, we need to be sure that each chauffeur in our employ will represent the positive values of our organization. Our chauffeurs always obey speed limits and traffic laws to keep passengers safe. Crucially, our chauffeurs know the local road system. If road construction or inclement weather affects one route, your chauffeur will simply take the next most optimal path. For safety, we outfit each our vehicles with working GPS devices. Each vehicle in our transportation fleet is good-looking, clean and relatively new. Our Hummer limousines are fine choices for those who enjoy big, splashy prom night arrivals. For something a bit less showy yet just as stylish, consider booking one of our sleek, full-sized executive sedans. Our limo buses are perfect for people hosting larger groups for prom or post-prom festivities. Besides accommodating a dozen or more people in perfect comfort, each limo bus contains the beautiful interior and on-board amenities you expect in luxury transportation. Because prom night is a special time, you shouldn’t have to spend part of this night battling traffic and looking for places to park. With door to door limo service, you can simplify an evening that is supposed to be focused on having fun. With safe and reliable transportation taken care of, your prom night may take on a new grandeur. Without compromising our staff or our vehicle fleet, it is deeply important for us to keep our limo services priced appropriately. Unlike certain other limo companies, we are committed to charging reasonable fares. We trust that when people experience what we have to offer, they are likely to become repeat customers. If you are part of a group flying into town to attend a prom, you deserve the very best airport shuttle Modesto has to offer. We believe that our luxury airport service fits the bill. You could trust us to pick you up promptly at Merced Macready Field, the airport closest to Modesto. We’ve put some effort into our California limo service and it is gratifying to see our effort translated into high demand for our services. To experience comfortable prom night transportation from an organization that doesn’t compromise on quality, contact Legacy Limousine Service today.